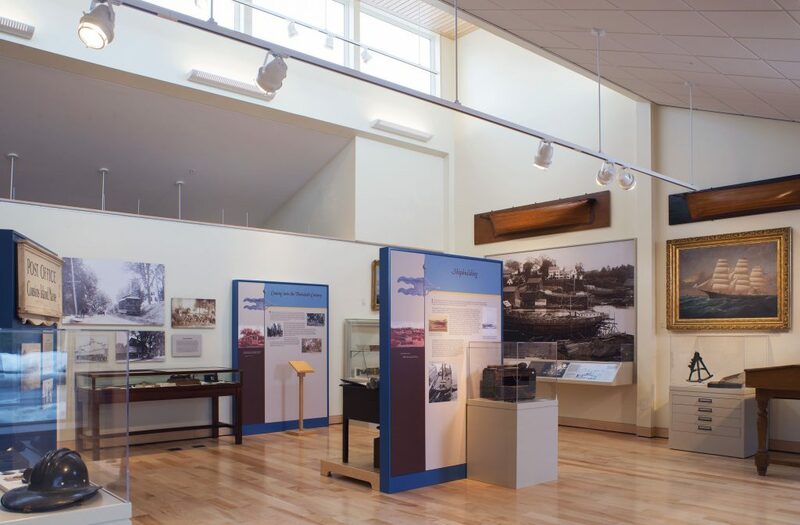 The Yarmouth History Center is a repository and gallery for town’s history dating back to the Abenaki Indians and the first British settlers, who arrived in 1636. 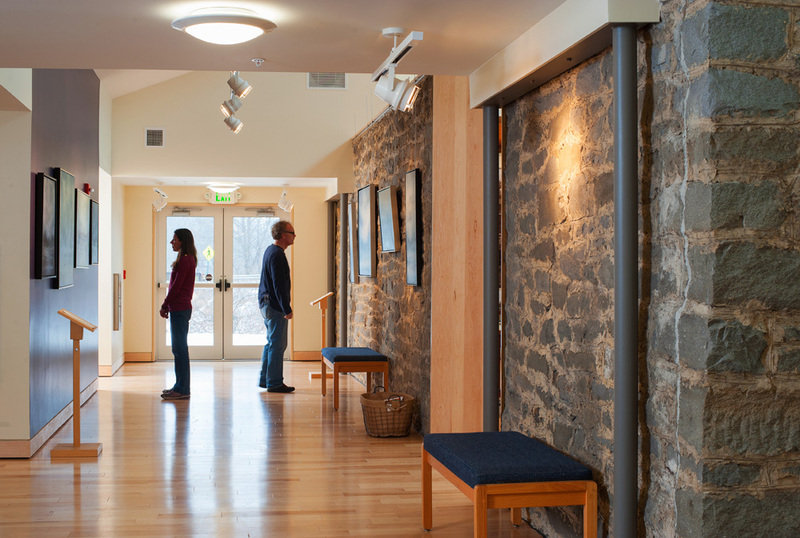 After developing a master plan for the Yarmouth Historical Society that projected their facility needs, SSA developed a renovation design for an existing Water District Building located along the Royal River the Historical Society owned. 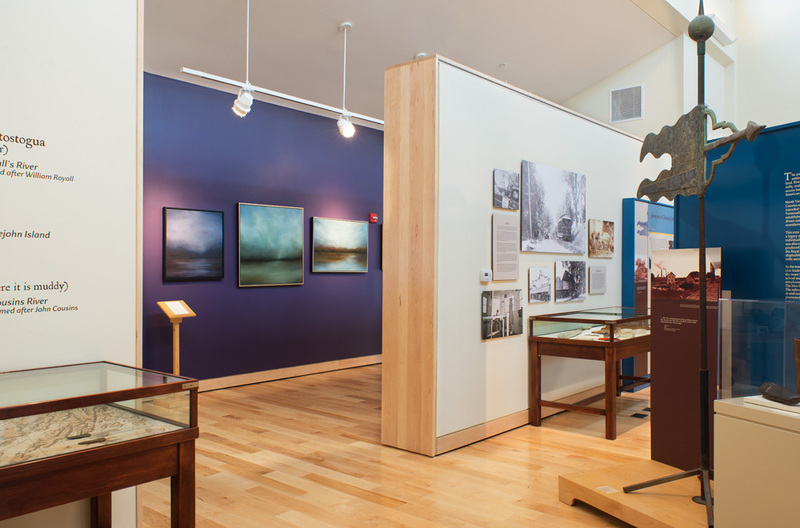 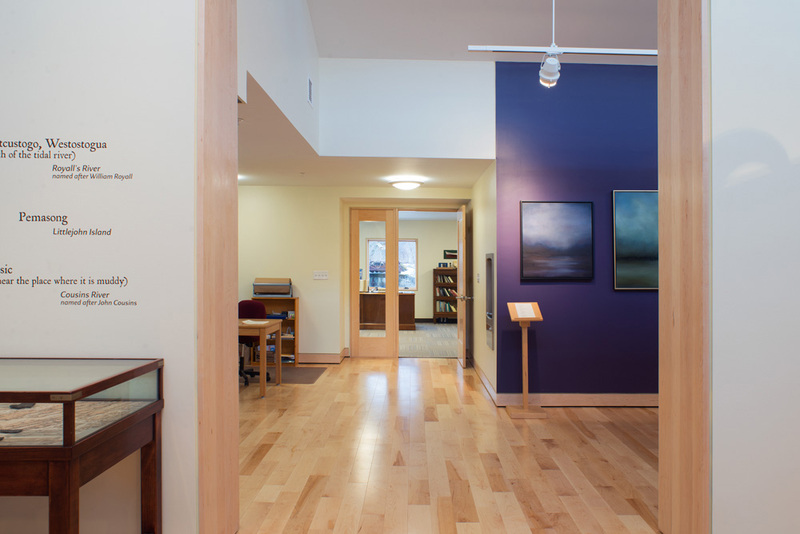 The renovation and addition more than doubled their space to showcase their collection and added much needed office and research space, as well as an environmentally controlled archive room. 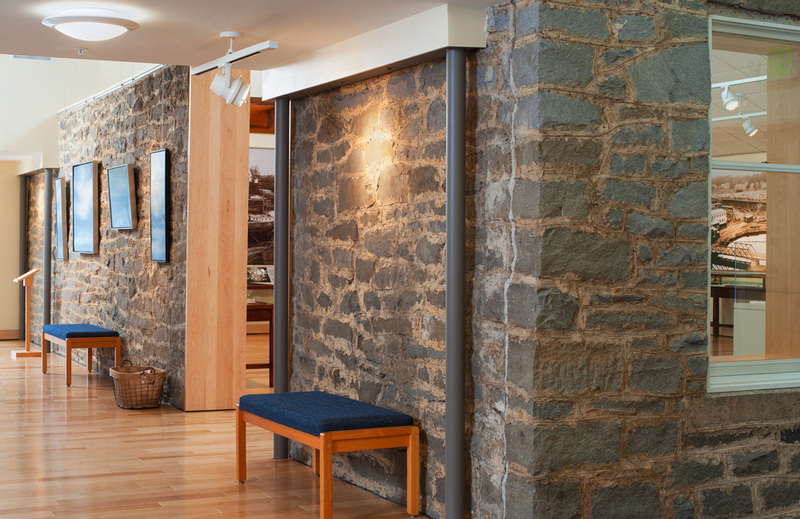 A section of the original stone wall was preserved for the gallery, providing a rich context for the exhibits on display. 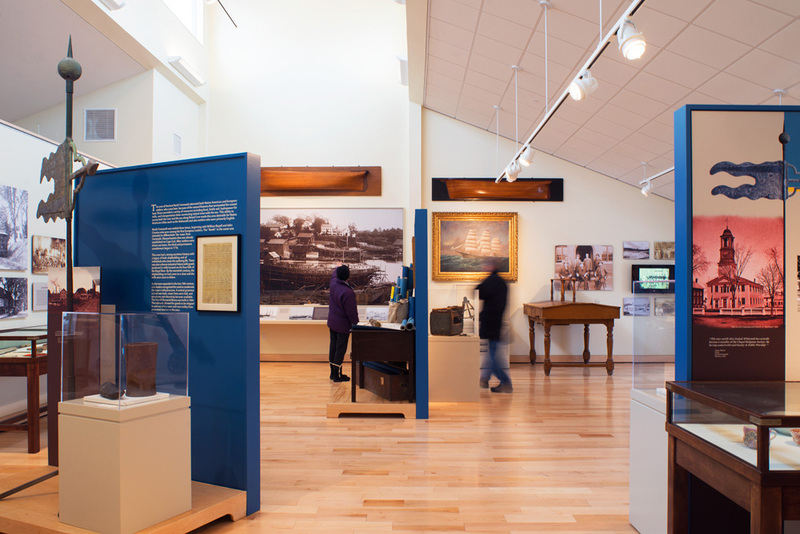 The event space/classroom is used for educational programs about the town’s shipbuilding and manufacturing history. 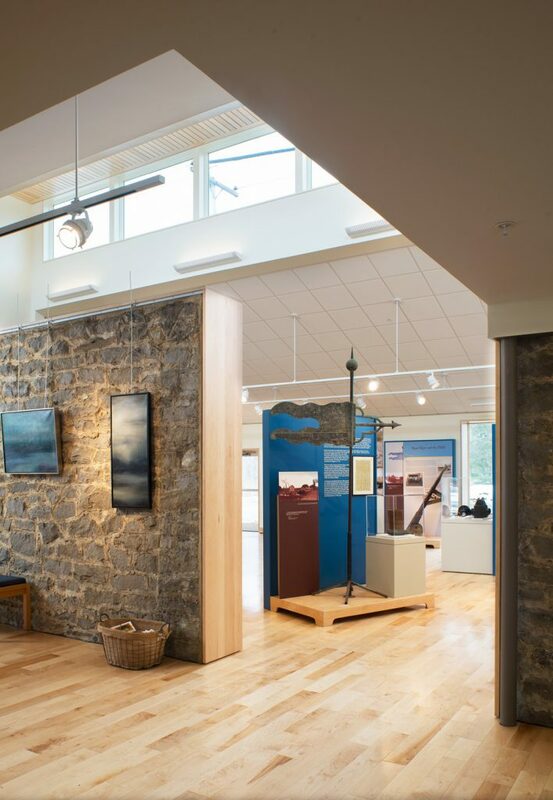 The building opens to the landscape and the nearby Royal River, providing opportunity for a variety of outdoor activities, including following interpretive signs along a river path describing the remains of the mills that once lined the banks of the river.